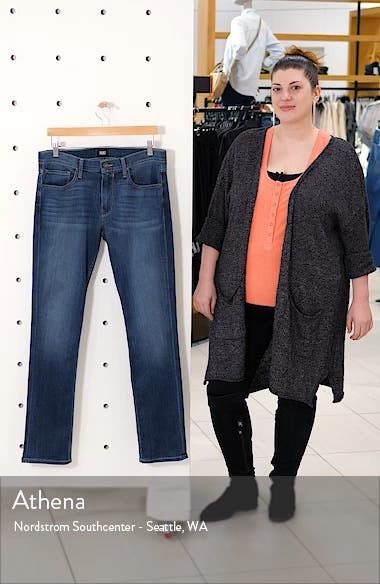 PAIGE's signature slim, straight-leg jeans are crafted from innovative, rayon-enhanced TRANSCEND denim that offers amazing shape retention and a supersoft feel. Choose a sizeMid rise. True to size. Comfortable through the hip and thigh. Tailored from the knee to ankle. Mid rise.